Repair in a house or apartment is always troublesome. It is necessary to remove the old coating in order to apply new quality. It does not matter the type of previously used wallpaper, or the type of glue. A new decorative material needs to be glued on a clean, even, primed wall. In this article we will look at how to remove the wallpaper from the wall in various ways. 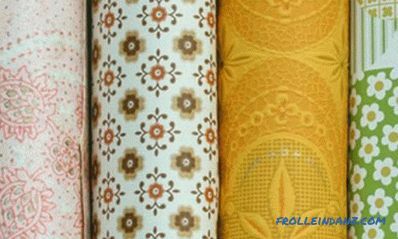 Many people think that All old wallpapers need to be removed. Such a position concerns mostly wall-papers that are well-adhered to the walls, even when their appearance requires replacement. You can never be 100% sure that new wallpaper will not fall with the old. After all, the water contained in the adhesive solution will penetrate into the old layer and make it heavy, which will cause the destruction of your plans. The main rule of repair is to remove an outdated decorative covering. 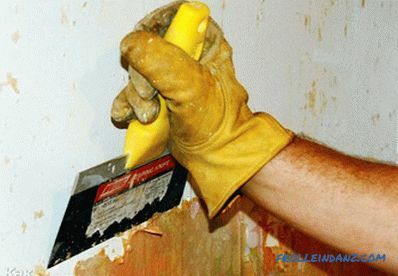 To remove wallpaper in the traditional way, metal spatulas of different widths will be needed. 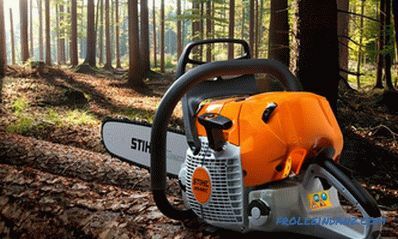 Pick up tools not with round edges, but with sharp. A special liquid is sold in stores that will help you quickly and easily get rid of faded and torn wallpapers. There is no desire to use any means, and ordinary warm water will do. Work to remove the old coating is progressing quickly and efficiently if a steam mop is used. Also buy a needle roller and a sharp knife. Depending on what type of wallpaper you need to remove and from which surface, the tools in the kit will change. Chemicals are used to facilitate the removal process. Medium-sized roller with comfortable handle. Before starting work on removing the old decorative material, cover the floor with a film with a film. Secure the tape with tape. Insulate electrical appliances with masking tape. This will help prevent water from entering. Wet method of dismantling Old coating is considered the most hygienic and safe for health. There is no dust in the room, and glue residues are removed much faster and cleaner. You need heated water and spray. If there is no sprayer, a regular sponge will do. Start working with the area under the ceiling and moisturize the wall well to the baseboards. 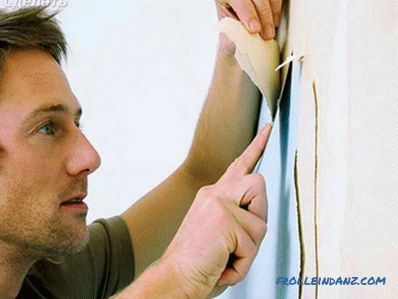 The thicker the layer of previously pasted wallpaper, the longer the process of their wetting. When water is absorbed and the glue is soaked, take a spatula and begin to remove the soaked material. Where the layers lag behind badly, moisten the surface again. 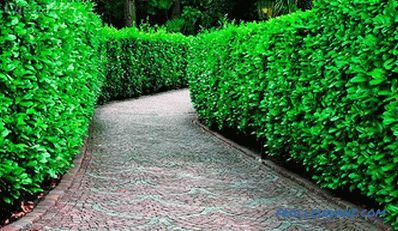 Do not rush to process the entire area of ​​the wall at once. A small amount of water dries quickly and does not have time to soak the old coating, and too much flows down. Treatment of old wallpaper with water should be carried out in small areas. It is necessary to separate the old material from the seam. Special care is required when working in the area of ​​electrical appliances. It is better to turn off the power at the time. Warm or hot water penetrates the coating much faster and softens the glue. No matter how much you want to finish the job quickly, you should not hurry. Plaster on the wall after removing the outdated decorative coating must necessarily remain intact. To make small cuts or scratch well, use a wallpaper tiger. So the water is much better and faster penetrates into the base. 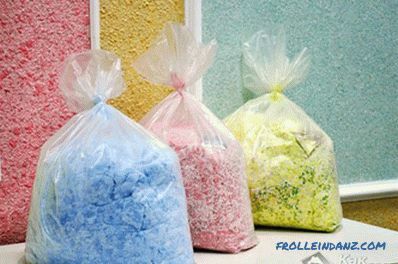 As part of this look There are synthetic fibers that are particularly durable. 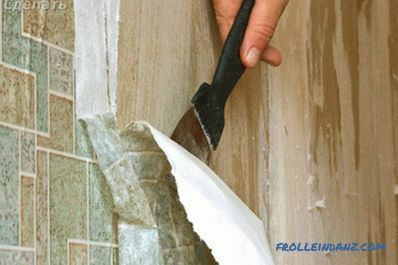 The waterproof layer on the surface of the material is the main obstacle when removing wallpaper from the wall. 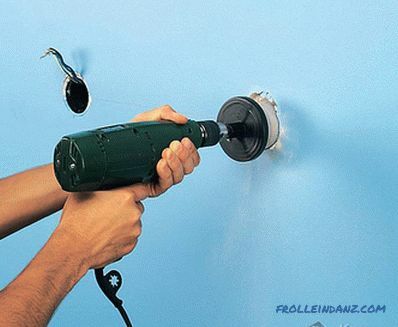 First make cuts, and then begin to gently moisten the wall. It is better to do this with a sponge, pressing it well in the places of the incisions made. Leave the wetted area of ​​the wall for a quarter of an hour, now the old faded wallpaper of flizelin is well behind and removed. Any removal difficulties Vinyl material does not occur. Decorative material is a paper base, glued with vinyl film. First, make as many incisions as possible using a wallpaper tiger or a sharp knife, and then moisten with warm water. Rest for 20 minutes. You will see that during this time the old glue began to dissolve. Under the ceiling, make a horizontal cut on the strip. Using a spatula, carefully separate the top of the strip, and begin to safely pull it down. Thanks to the PVC coating the wallpaper is not torn.You have less trash and very fast work progress. If suddenly there are small pieces of paper base on the wall, moisten them with water and remove. There are types of vinyl wallpaper that are particularly dense. Such wallpaper is better to shoot slowly, on separate layers. 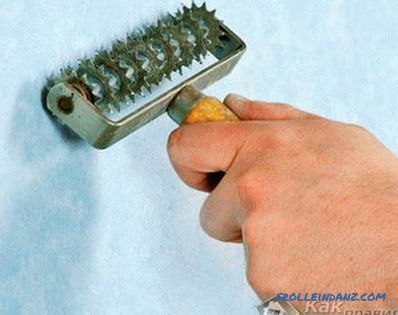 To work you need to prepare a metal brush and wallpaper tiger. First remove the protective layer, then remove the film using self-sharpening discs. With this view Wallpaper will have a little tinker. To remove the top layer of washing wallpaper, you will not have to put much effort. Moisten with warm water and remove the loose layer after 20 minutes. The lower layer of moisture is not afraid and here the usual soaking is not suitable. We'll have to pick up the scraper or toothed roller and make notches. Now use the water. You need water to penetrate the surface as best you can. If the result does not quite satisfy you, you need a steam puller. Of course, not everyone has such a tool, but a way out can be found. Today there is a steam iron in every home. Try to attach it to the wallpaper, the result will be excellent. Maybe you shouldn’t rush with removing liquid wallpaper? 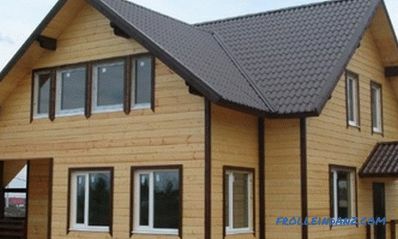 Decorative coating will last you more than one year. Try it just to update with water-based paint. You still decide to remove the liquid wallpaper? Because what is the wallpaper, it depends on how to remove them from the wall. Material with pieces of viscose can be used more than once and is removed very easily. Moistened with water and neatly removed with a spatula. When liquid wallpapers resemble decorative plaster, they use a sander to remove them. 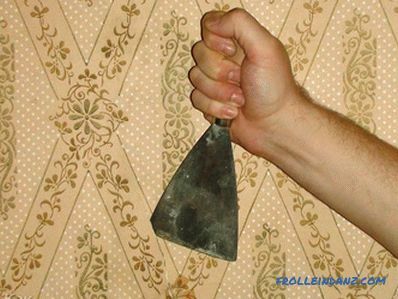 Some craftsmen remove such wallpaper manually using a spatula, a scraper and warm water. The procedure is similar to the previous ones. First decorative material is moistened, and then dismantled. If you add a Ceresit CT-17 primer to the water, the process will go faster. After removing the liquid wallpaper, the wall will have to be puttied. Removing the wallpaper from the drywall will be difficult. When removing wallpaper from drywall, do not damage the top paper layer on the material itself. It is much easier to remove the wallpaper, if the wall of plasterboard was previously covered with putty. 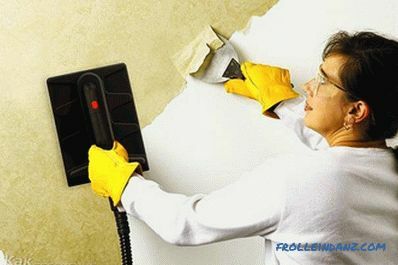 Chemical removal of old glue will help to remove wallpaper qualitatively and quickly. It is impossible to soak the old wallpaper so as not to disturb the top layer of drywall. Wallpaper on untreated drywall is also removed with low quality wallpaper glue. 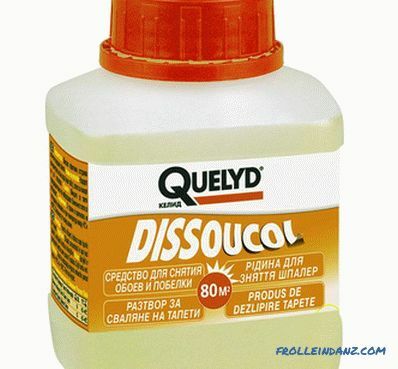 To make this glue completely dry, you need a lot of time. Apply a thin layer of diluted glue and wait until the wallpaper under it starts to swell. Now you can get to work. You just recently engaged in repair and removed the old wallpaper from the walls. Maybe you have some way of working? Share your experience with our readers by leaving comments on the article. Watch a video about quick removal of washing wallpaper from the wall.